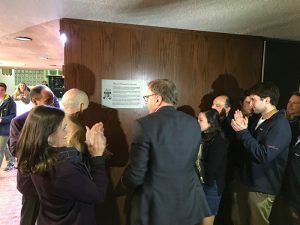 The Big Reveal: A commemorative plaque now installed at the entrance to the Myrna B. Sherman Gymnasium was officially unveiled during the December 15 dedication ceremony. 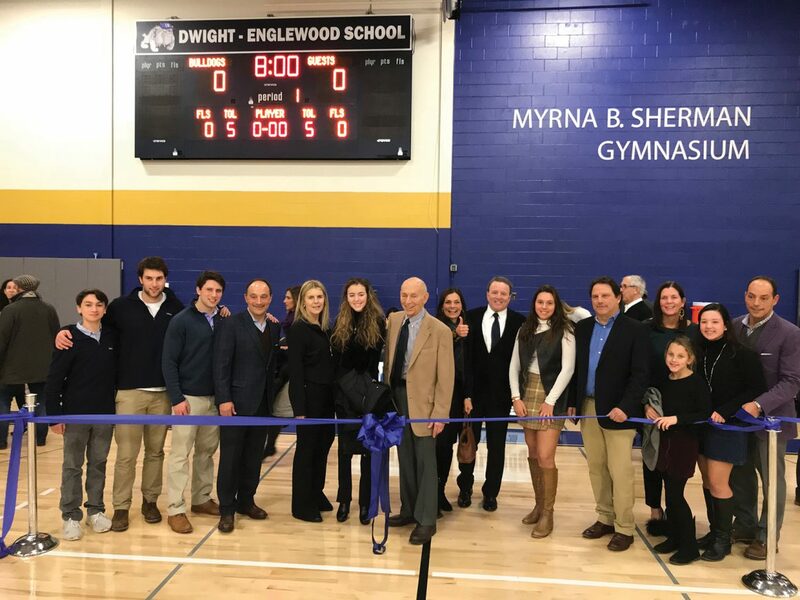 Bulldogs of all ages came together for the dedication ceremony of the newly refurbished Myrna B. Sherman Gymnasium on December 15, an event that coincided with the first home games for both the Boys’ Varsity and Girls’ Varsity Basketball teams of the Winter 2017-18 season. Everyone then walked together for the unveiling of the plaque, followed by a ceremonial ribbon cutting on the beautiful new wood floor. 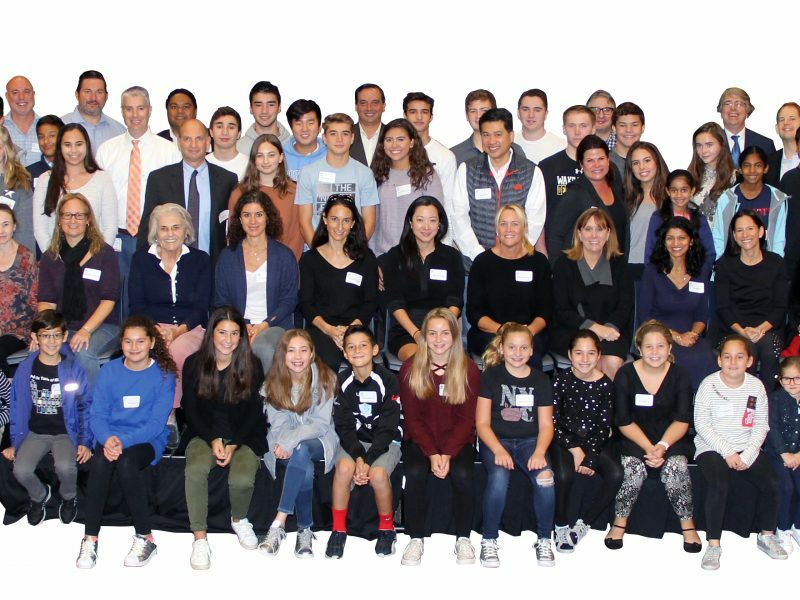 For a video of the dedication of the Myrna B. Sherman Gymnasium, watch below. 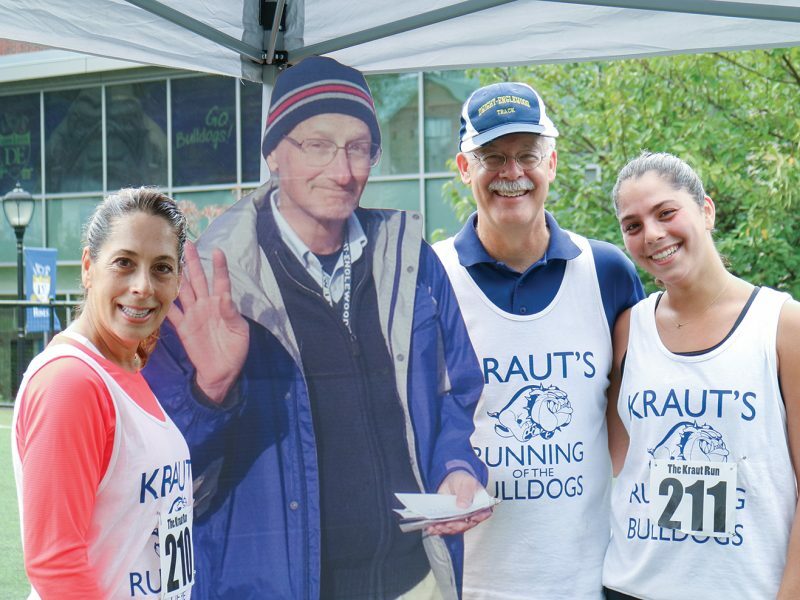 “ …The Myrna B. Sherman Gymnasium will endure as a significant and critical facility serving as the primary location on campus for practices, competitive athletics and community building events. 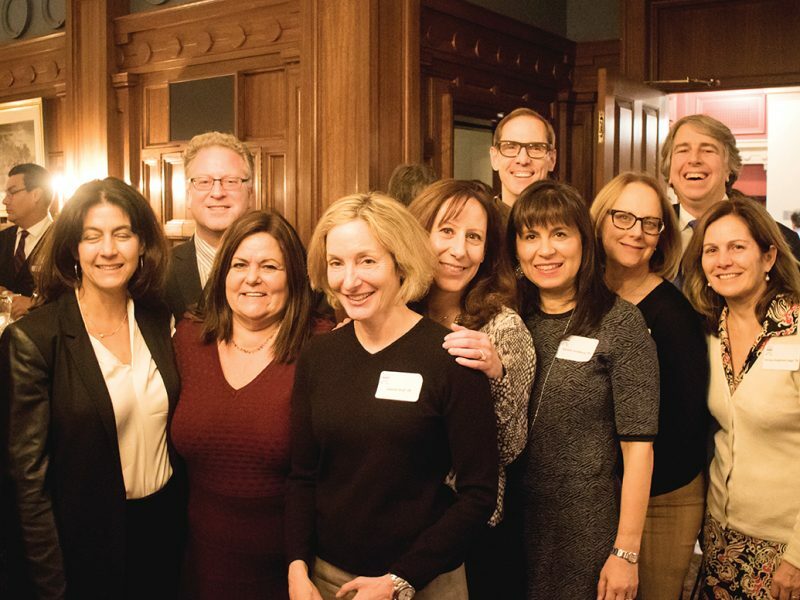 The Myrna B. Sherman Gymnasium, located adjacent to the Silberfein Gymnasium, serves as a testimony to the closeness of relationships within the Dwight-Englewood Class of 1981 and its families.